Ubiquinol, the reduced form of Coenzyme Q10 (CoQ10), is a recent addition to the supplement offerings of several companies, and one which has generated as much confusion as it has excitement. As a supplement, ubiquinol is fairly new. As a critical part of human metabolism, our knowledge of ubiquinol dates back nearly as far as the discovery of CoQ10. While CoQ10 is often thought of as a "static" nutrient within the context of nutrition, it is actually one which dynamically interconverts between two useful states (the oxidized "ubiquinone", and the reduced "ubiquinol"). In this article, we will discuss ubiquinol as part of the CoQ10 "cycle", and how this cycle has important consequences in human metabolism. Additionally, we will discuss how ubiquinol as a supplement may take advantage of this cycle to exhibit increased assimilation into the body. Coenzyme Q10 or CoQ10 is a member of a family of important biological compounds called ubiquinones. It is a lipophilic, water-insoluble substance which participates in a variety of biochemical oxidation and reduction reactions (redox reactions). First identified in 1957 as an essential component of the energy production system in cells, CoQ10 and other members of the ubiquinone family have since been identified as critical metabolic compounds in a range of aerobic organisms. Indeed, ubiquinones are ubiquitous. Because of its critical role in metabolism, humans have the ability to synthesize their own CoQ10 (eg. it is nutritionally non-essential), although modest amounts can be obtained through diet or as supplements. In humans, CoQ10 is found in each cell in the body, but is particularly concentrated in tissues which have large energy requirements (like the heart, liver, kidneys, and skeletal muscles), with smaller amounts in the brain, lungs, and intestines. There are also substantial amounts of CoQ10 in circulation, most often associated with lipoprotein (LDL or HDL) particles. The total CoQ10 pool in a normal adult has been estimated to be between 0.5 and 1.5 grams. Within cells, about half of the cellular CoQ10 is found within the mitochondria (the energy-producing centers of cells), and this is where the final steps of CoQ10 synthesis occur. Extramitochondrial CoQ10 (that is, CoQ10 which is located in areas of the cell which are NOT charged with producing cellular energy) can amount to 50-60% of the total CoQ10 pool. CoQ10 is found throughout cell membranes, as well as in other cellular structures (organelles) such as nucleus, cytoplasm, and endoplasmic reticulum. Experimentation has also revealed that while the final steps of CoQ10 production occur in the mitochondria, it can be exported to other subcellular locations. Similar studies have shown that exogenous (obtained from the diet) CoQ10 incorporates not only into the mitochondria, but into the plasma (outer) membrane of cells as well as other intracellular membranes. In the course of participating in various oxidation and reduction reactions, CoQ10 itself is cycled between two stable states (called a "redox pair"): a fully oxidized form ("ubiquinone"), and a fully reduced form (called "ubiquinol"). CoQ10 cycles through these oxidated/reduced forms in order to achieve its metabolic goals. The CoQ10 cycle is simple: Ubiquinone picks up electrons and becomes ubiquinol. Ubiquinol release its electrons and becomes ubiquinone again. And the cycle repeats. It would appear, therefore, that CoQ10 has a very simple function – to move electrons. Why is the movement of electrons important? This seemingly trivial feat has important consequences in metabolism; the transfer of electrons is a fundamental step in the production of energy, in the regeneration of antioxidants in cell membranes, and in the construction of other important biological molecules. Each cell in the body needs a source of energy to survive, so cells break down sugars, fats, and amino acids to make energy. In the mitochondria of our cells, CoQ10 is abundant, carrying electrons to aid in the chemical reactions that "burn" (oxidize) cellular fuel to produce chemical energy in the form of adenosine triphosphate (ATP). Since adequate amounts of ATP are essential for powering our cellular machinery, it is easy to understand the importance of CoQ10 in human metabolism. Both forms of CoQ10 are necessary to shuttle electrons between energy-producing reactions (ubiquinone picks them up, and ubiquinol drops them off). Outside of the mitochondria, CoQ10 performs a slightly different role as a membrane and lipid-associated antioxidant. About half of the human body's total CoQ10 pool may be functioning in this capacity. CoQ10 is one of the major antioxidant constituents of the LDL particle. In its reduced form (ubiquinol), CoQ10 can be found alongside alpha- and gamma-tocopherol, lycopene, and beta-carotene in LDL particles as resident antioxidants to prevent LDL oxidation. Coenzyme Q10 is one of the first antioxidants to be depleted when LDL is subjected to oxidation. Studies have implicated ubiquinol as a regenerator of oxidized tocopherol within the LDL particle; studies of hypercholesterolemic elderly patients have equated highly oxidized LDL particles with low ubiquinol levels. In its role as an antioxidant, the reduced form of CoQ10 (ubiquinol) functions as the active antioxidant, giving up its electrons to other oxidized molecules (like oxidized tocopherol) to regenerate them. This process converts ubiquinol to ubiquinone. The newly formed ubiquinone must then be converted back into ubiquinol in order to become reengaged in the antioxidation process, although the mechanism by which this occurs within LDL particles is not yet known. No discussion of CoQ10 would be complete without a brief mention of its documented health benefits. 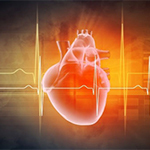 Supplemental CoQ10 (especially at therapeutic doses) has been the subject of numerous studies over the last half century, particularly in applications for cardiovascular health. Several studies have shown benefits of CoQ10 in patients diagnosed with chronic heart failure, exercise-induced angina, hypertension, or those who have recently experienced infarction. There is also early evidence that CoQ10 may protect the heart from damage during chemotherapy, bypass surgery, or in diabetes. Aside from cardiovascular applications, CoQ10 has also been studied for its potential benefits for other conditions which involve dysfunctions in cellular energetics , neurological degeneration, or oxidative damage (including Parkinson's and Huntington's disease, and ALS. and periodontal disease). While the clinical evidence for the potential benefit of CoQ10 in many of these applications shows promise, variability in study outcomes necessitates further research in these areas before definitive recommendations can be made. Results of more recent studies have revealed that CoQ10 dosages (particularly in terms of circulating plasma levels) may have been too low in earlier trials to demonstrate positive clinical benefits. Particularly in terms of cardiovascular health, CoQ10 blood levels of greater than 2.5 mcg/ml appear to have more consistent results in improving cardiovascular function. To put this in perspective, a recent study of CoQ10 supplementation in heart failure patients required a dosage of 300 mg of ubiquinone per day (in a high-absorption delivery system) for one month to exceed this threshold and exhibit improvements in cardiovascular parameters. Future clinical studies of CoQ10, designed with this threshold in mind, should continue to add to the growing body of evidence of CoQ10's positive role in preserving proper cardiovascular function. And as we shall see in the next section, the development of supplemental ubiquinol may facilitate our ability to deliver CoQ10 at therapeutically-relevent levels. Ubiquinol as a Supplement: Additional Benefits? As we have seen previously, CoQ10 functions by cycling between two stable forms, ubiquinol and ubiquinone. The outcomes of this cycle are the generation of cellular energy, and the protection of membranes and lipids from oxidation. Dietary or supplemental CoQ10 also participates in this cycle. Dietary ubiquinone (oxidized CoQ10; the form most commonly found in foodstuffs and until recently, supplements) can be reduced to ubiquinol during its transit from the gut to the bloodstream. If CoQ10, regardless of form or source, is still able to participate in the redox cycle, then what benefit would supplemental ubiquinol possibly have? The answer to this question requires an understanding of CoQ10 pharmacokinetics (the particulars of CoQ10's absorption, utilization, and elimination). As it turns out, dietary or supplemental ubiquinol may have an advantage over ubiquinone in its facility of absorption. Like many fats and lipophilic nutrients, CoQ10 (regardless of form) is usually taken up by the intestinal enterocytes (cells which line the intestines), packaged into lipid particles, and released into the lymphatic system. From the lymphatic system, these particles are shuttled into circulation, where they are free to be transported throughout the body to where they may be needed. The absorption of dietary CoQ10 is quite poor. It has limited solubility in lipids, and its highly variable absorption depends on the other contents of the gut (for example, absorption is lower on an empty stomach and greater when taken with food of high lipid content). Some studies have measured absorption as low as 2-3% of the total dosage. One of the most exciting consequences of the development of a stabilized dosage form of ubiquinol is its innate ability to be absorbed more efficiently than ubiquinone. There is experimental evidence that CoQ10 must be reduced (to ubiquinol) in intestinal enterocytes prior to release into the lymphatic system; this coupled absorption/reduction may be a rate limiting step in CoQ10 assimilation. Dietary ubiquinol (which is already reduced) avoids this reduction reaction, and may be directly available for absorption. This may explain why ubiquinol-based CoQ10 supplements exhibit enhanced bioavailability over ubiquinone supplements. Preliminary testing in humans indicates at least double the absorption of ubiquinol over ubiquinone. Comparisions of blood levels between trials, while less accurate, estimates the improvement in absorption to be significantly higher. Future clinical studies (designed specifically to compare the absorption of these forms) are required to more accurately quantify ubiquinol's enhanced absorption, and what effect patient age or medical condition may have on this value. CoQ10, a critical biological molecule in the metabolism of aerobic organisms, owes its utility to its ability to cycle between two relevent forms, ubiquinone and ubiquinol. This cycle takes a central role in several metabolic reactions, notably the production of cellular energy and the protection of membranes and lipids from oxidative damage. Sufficient levels of CoQ10 are an important factor in human metabolism (particularly in the maintenance of cardiovascular health) and clinical research in this area continues to strengthen this observation. Ubiquinol (the reduced form of CoQ10) as a supplement or therapeutic may be an advantageous development. Its advantage may not have a direct effect on the well-regulated CoQ10 redox cycle in healthy people, but rather its ability to circumvent one of the possible limitations of CoQ10 absorption. Belardinelli et al. (2006) European Heart Journal 27(22):2675-81 Bhagavan HN and Chopra RK (2006) Free Radical Research 40(5):445-53. Kevin M. Connolly, Ph.D. (UCLA) is the Director of Scientific Affairs and Product Development at Jarrow Formulas, Inc. Previously, he spent 15 years in basic biochemistry research elucidating such diverse mechanisms as bacterial antibiotic resistance and collagen synthesis. He is an inventor on several medical device patents and is a frequent guest on radio health programs throughout the country.